Good sanding can make or break a woodworking project, so every do-it-yourselfer should have a power sander in the workshop. 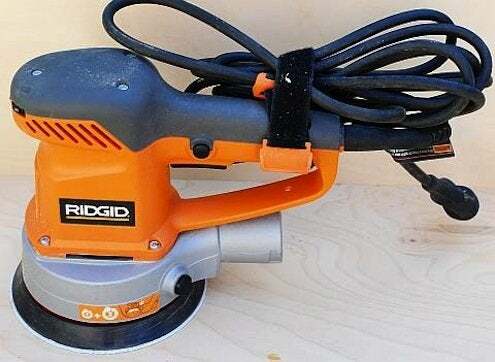 For around 50 bucks, a 5″ random orbital sander means you don’t have to sand your work by hand. 6″ sanders yield a lot more surface area, so they work a lot faster, but the stronger motor they require boosts the price by around $100—still a great deal versus hand sanding. If you’re sanding large areas or lots of them, a belt sander is king. You can clamp boards together and hit them with the belt sander all at the same time for smooth uniform edges, or pre-sand whole boards before you cut them to reduce finishing time later. Stock up on sandpaper refills that work with your sander, and don’t scrimp on the quality. Sharper grit is more expensive, but it works much faster and lasts longer. Cheap sandpaper will wear down faster, fill up with sawdust, and shred in no time. So it’s not really a bargain.